This little piggy tagged along. This little piggy ate leaves. And this little piggy went “wee wee wee” all the way to his mum. All little piggies deserve to be free. 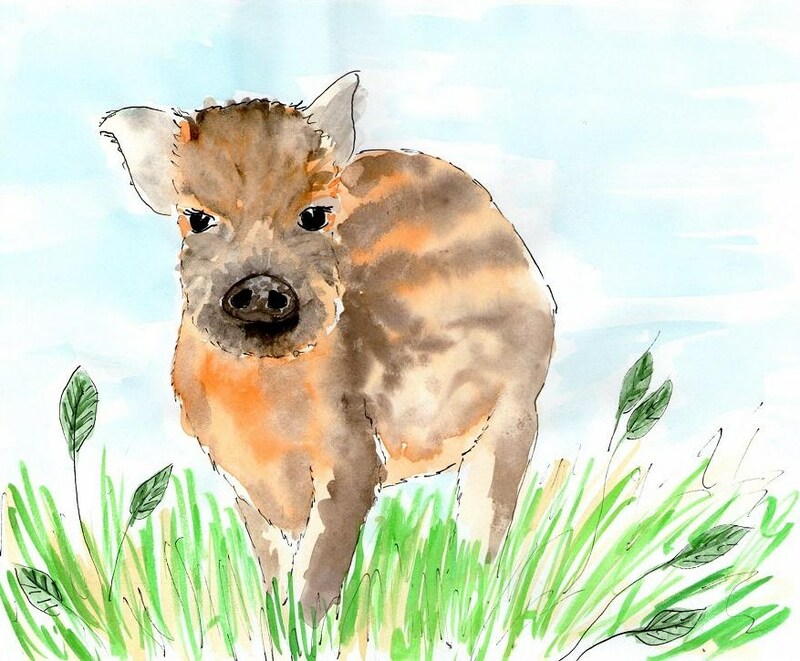 This entry was posted in Animals and tagged Animals, art, nursery rhyme, pigs, This little piggy, vegan, vegan children, vegan nursery rhyme, vegan version, vegetarian, veggie kids, wild boar piglet, wild boars. Bookmark the permalink. Oh what a lovely rhyme ! Thank you again Violet….